CAPE COD: State's First Fatal Shark Attack In 82 Years - Joe.My.God. A man who was bitten by a shark at a Wellfleet beach today has died, according to police. Wellfleet police Lt. Michael Hurley confirmed at 2:25 p.m. that the shark attack victim died of injuries at Cape Cod Hospital. He said the victim was a male in his mid-20s, but didn’t identify him. Leslie Reynolds, chief ranger at the Cape Cod National Seashore, confirmed the incident that happened about 300 yards south of Newcomb Hollow Beach. A 61-year-old New York neurologist was bitten by a great white shark Aug. 15 at Long Nook Beach in Truro. The man survived the bite. 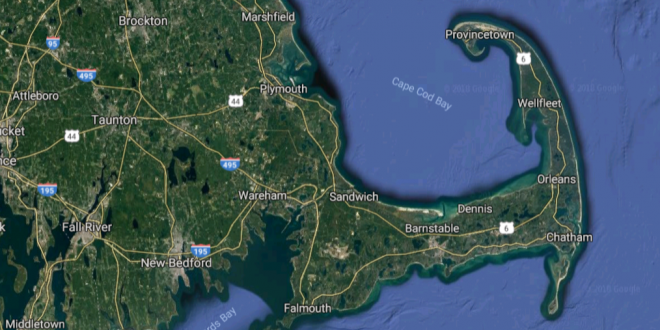 The most recent fatal shark attack in Massachusetts was at Hollywood Beach above Mattapoisett Harbor in Buzzards Bay in 1936.